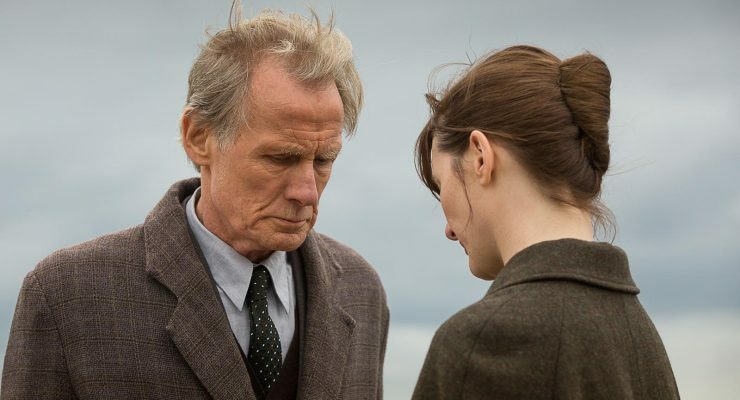 The Bookshop - Upstate Films, Ltd.
Based on Penelope Fitzgerald’s acclaimed 1978 novel this elegant yet incisive rendering of personal resolve, tested in the battle for the soul of a community, is timely and timeless. England, 1959. Free-spirited widow Florence Green (Emily Mortimer) risks everything to open a bookshop in a conservative East Anglian coastal town. While bringing about a surprising cultural awakening through works by Ray Bradbury and Vladimir Nabokov, she earns the polite but ruthless opposition of a local grand dame (Patricia Clarkson) and the support and affection of a reclusive book loving widower (Bill Nighy). As Florence’s obstacles amass and bear suspicious signs of a local power/class struggle, she is forced to ask: is there a place for a bookshop in a town that may not want one?. unrated / 1 hr 53 mins.